Professional scanner, better than a code reader. Better than a code reader. 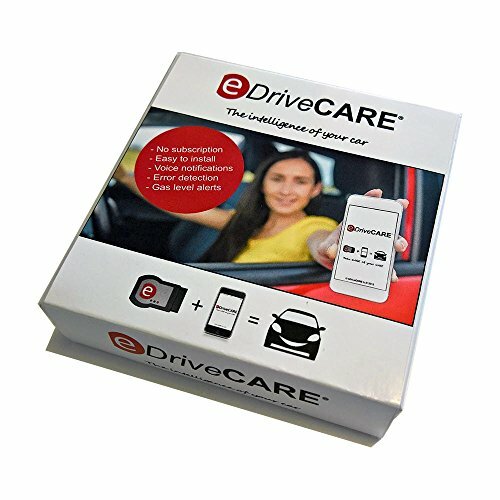 Your eDriveCARE package includes a small device to plug into your car with the instructions to install the application on your smartphone. eDriveCARE is available for iPhone (iOS 8+) and Android smartphones (Android 5+) in the USA. Flat price, total of less than $30! You can order the Starter Pack for iPhone & Android with Free Shipping on our Online Store for $27.90 or Amazon now for $29.90. eDriveCARE is currently available in for USA only. If you want more details about our upcoming products, features and availability in your country, contact us!